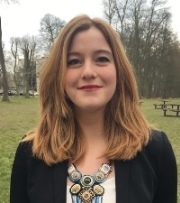 Elise Barruet is a French student graduated from NEOMA Business school with a “BSc in internal business” and is currently enrolled in the “MSc 2 Project and Program Management and Business Development” at SKEMA Business School. This master's degree will allow her to gather the two directions that she want to give to her career: project management and the international (especially Asia). Thanks to her studies at NEOMA, she had the opportunity to go in Asia several times, the first time in Hanoi, Vietnam, for a one-year university exchange and a second time in Bangkok, Thailand, for a 6 months internship. She has had the opportunity to work in large companies such as BNP Paribas, Cetelem and Allianz bank during several seasonal professional experiences but also in smaller companies such as Asiajet during several internships. She is now certain that she will work abroad, especially in Asia and become Business Development Manager or Project Manager. Being a very curious person, she does not want to focus on a specific business sector, but to be versatile in order to have a global overview.